4 Comments on 2016 is the Year of the Monkey! It's 2016, and the Year of the Monkey has arrived! Thanks to all my readers for your support, and I'd like to wish you all "big luck" in the Year of the Monkey! Thanks again! The Chinese New Year has arrived! I’d like to take this opportunity to wish all my readers a Happy Spring Festival, and a prosperous 2016! Every year during the Spring Festival, millions of people in China and abroad embark in a mass exodus, traveling back to their hometowns. Decorations will go up, food will be cooked, family and relatives will be visited, and Baijiu will be drunk, often in copious amounts. According to the Chinese Lunar Calendar, 2016 is the Year of the Monkey, one of the 12 animals of the Chinese Zodiac. According to the Chinese Zodiac, monkeys are thought to be cheerful and energetic by nature, and can represent flexibility. People born under this sign are thought to be intelligent, confident, charismatic, loyal, and inventive. However, those born under the sign of the monkey are also thought to possess certain weaknesses, including being egotistical, arrogant, and crafty. The monkey is actually a rather famous animal in China, due to the ancient and well-known tale, Journey to the West. In this story, the legendary Monkey King, Sun Wukong, was a mighty immortal being, so powerful that he defied all of heaven. Finally laid low by the Buddha, he was imprisoned under Five Elements Mountain before finally gaining redemption by escorting the Tang Monk to India to retrieve the Buddhist Scriptures. The Chinese New Year would not be complete without the customary visiting and greeting of family and friends. And while the Chinese people use many different expressions and phrases to ring in the New Year, I’ve selected several easier ones and listed them below. If you are spending the Spring Festival in China, or if you plan to visit Chinese friends abroad, these phrases will be a big help in creating good will and properly celebrating the New Year, Chinese style! 新年快乐 (xīn nián kuài lè): Happy New Year! 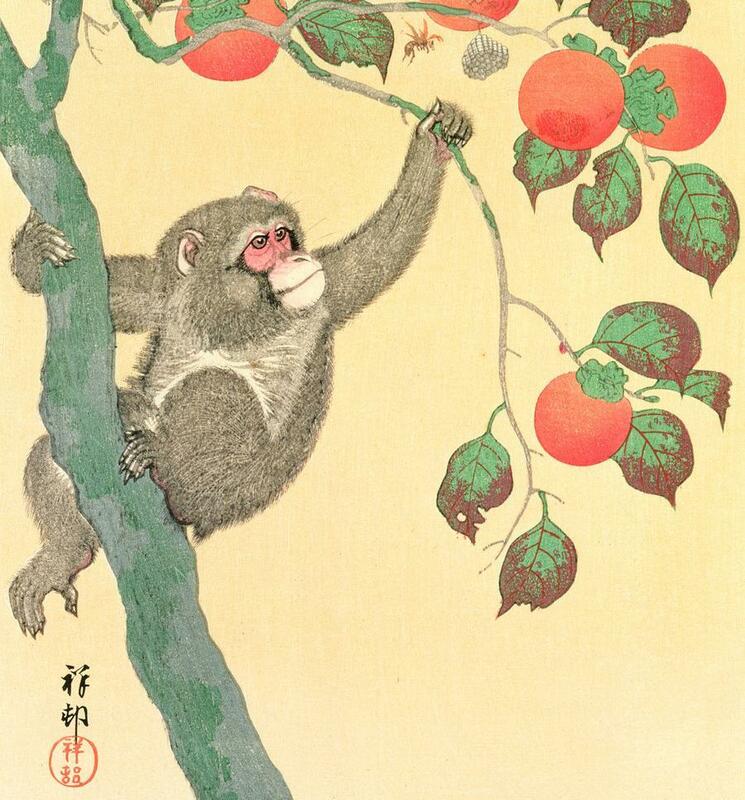 猴年大吉 (hóu nián dà jí): May you be very lucky in the Year of the Monkey! 万事如意 (wàn shì rú yì): May all your hopes be fulfilled! 心想事成 (xīn xiǎng shì chéng): May all your wishes come true! 阖家欢乐 (hé jiā huān lè): May your entire family be happy! 吉祥如意 (jí xiáng rú yì): May you be as lucky as you desire! 大吉大利 (dà jí dà lì): May you have both great luck and great profits! If you are interested in learning other short greetings in Chinese, take a look at this article. Once again, Happy Year of the Monkey! This is great Sean, great Chengyu to bring in the new year!! 阖家欢乐!!!! Hi Sean, Monkey Year Big Luck to you as well! Thanks a lot Daniel, Happy New Year!